> Blog > Motor Vehicle Accidents > Truck Accidents > Will the New FMCSA Ban on Handheld Devices for Truckers Reduce Truck Accidents? Truckers and other commercial drivers are now banned from using handheld cellphones and other mobile devices as they drive. This ban, which was officially put in place at the end of March 2014, was initiated by regulators at the Federal Motor Carrier Safety Administration (FMCSA) to try to get truckers to stay focused on the road and, in the bigger picture, to try to reduce the incidence of distracted driving-related truck accidents. While a recent FMCSA ban on handheld devices for truckers is intended to reduce truck accidents, it remains to be seen whether it will be effective in doing so. Use anything other than voice-activated or one-touch systems to communicate with others. 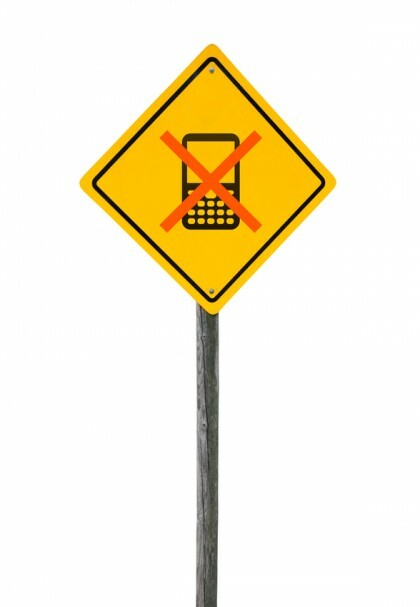 This new FMCSA ban essentially prohibits the use of handheld cellphones for truckers at the federal level, affirming many already-existing bans on the use of handheld devices among truckers in many states. The FMCSA is serious about enforcing this new ban on handheld devices for truckers and has set the penalties for violating this ban to be very high in order to invoke compliance. In fact, while truckers who violate this FMCSA ban can face fines that are as much as $2,750, the companies that employ these drivers can face fines that are up to $11,000. The penalties for violating the FMCSA ban get far harsher for multiple violations, as truckers could lose their commercial drivers’ licenses (possibly even permanently) while trucking companies can see their safety records severely impacted if multiple violations occur. After truck accidents, victims should call the Portland truck accident attorneys at the Savage Law Firm. For more than three decades, we have been devoted to providing each of our clients with personal attention, respect and the highest quality legal services. We realize how devastating a personal injury can be on a physical, as well as a psychological and financial, level, and our lawyers are here to aggressively defend injured people’s rights to both justice and compensation. While this means that our Portland truck accident lawyers will work diligently to help our clients tell their stories in court, it also means that our attorneys and dedicated staff will vigorously stand up to insurers and others outside of the courtroom to ensure that our clients are able to obtain the settlements they deserve. Helping you recover from the financial setbacks caused by truck accidents is one of our primary goals. Our Portland personal injury attorneys encourage you to learn more about your rights and case by setting up a free initial consult. We represent clients in communities in both Oregon and Washington from our offices in Portland and Seattle.